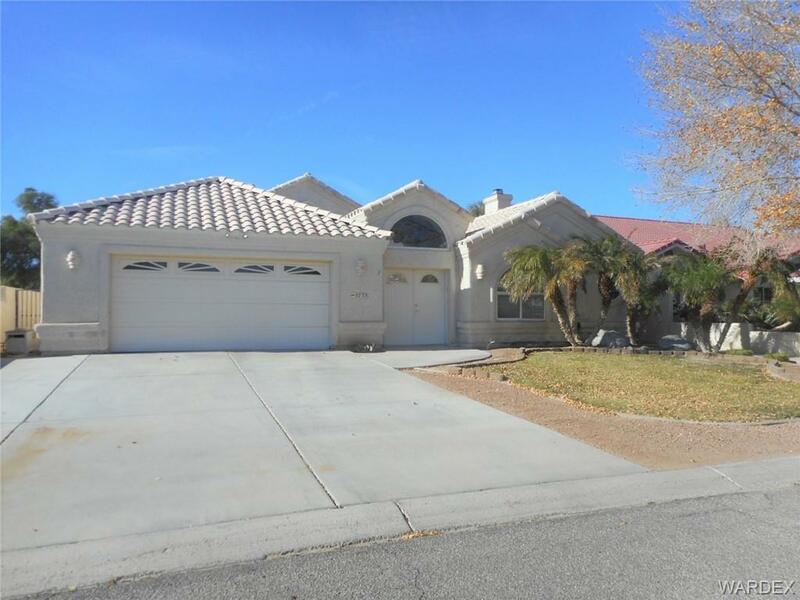 Pool and casita home in the upscale and desirable Desert Lakes / Huukan Golf Course Community! No HOA!! Walk through the doors of the block privacy wall into the serene courtyard and step into the beautiful casita / guest quarters. Casita boasts kitchenette with sink, refrigerator, and microwave. Casual dining area and still room for a bed! Full bathroom with tub/shower combo. Main house has large open kitchen with amazing sit-at center island. Tons of counter space and raised panel oak cabinetry. Giant walk in pantry. Breakfast nook with views of the golf course and pool! Large living room is perfect for entertaining. Over-sized master suite with sitting area that has door to shady covered patio. Master bathroom has walk in tiled shower, relaxing jetted tub, dual sinks, make up counter, and big walk in closet. Split floor plan for privacy with spacious guest bedroom. Full guest bathroom with tub/shower combo. Laundry room with sink, cabinets, and built in ironing board!! Custom gunite pool with cool decking for hot summer days. Sit under your covered patio and enjoy the golf course Lots of upgrades in this home including canned lighting, pot shelving, and art nooks. Extra deep garage for toys! Just a stones throw from the Colorado River, Lake Mohave, Laughlin, shopping, dining, medical, and schools. Buyer to verify all pertinent info including flood plain, utility, sq footage.